Interested in voice-based home control? Buy an Echo Dot. Interested in multi-room audio? Buy a Sonos One. The Amazon Echo, and the Alexa digital assistant that powered it, were breakthrough products that forever changed how we control our smart homes. The inexpensive Echo Dot that came later made it possible to put Alexa in every room of a home without spending a fortune. The second-generation Echo is better and less expensive than the first full-sized Echo, but it’s not nearly as important as those first three products. The new Echo is roughly 1/4 inch wider than the original, but it’s about three inches shorter. That makes it much less likely to topple over than the too-tall original. 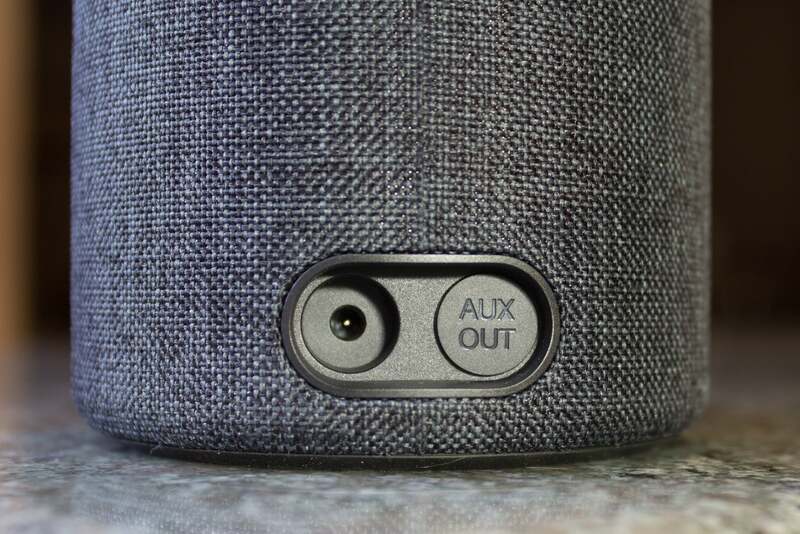 The second-generation smart speaker’s cloth grille renders the new model more attractive than the plasticky first-gen device: Where you could buy the original Echo in black or white, the new one is available with your choice of three colors of fabric: charcoal (black) sandstone (tan), or gray. If you don’t mind paying an additional $20, you can get it one in your choice of three hard finishes: Silver, oak, or walnut. The woodgrain finishes are plastic, not genuine wood veneer, but they’re not ugly. The shell can be removed, so if you change your mind about color choices, you can swap out the original for any of the other fabric or hard finishes (the shells are sold separately for $20 each). The 2nd-generation Amazon Echo has an array of seven far-field microphones on top. 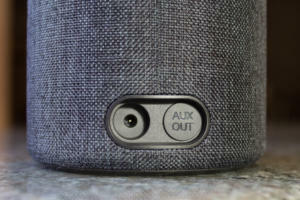 Amazon dispensed with the volume control ring on the original model in favor of push buttons on top of the new speaker. This design decision probably reduced the cost of manufacturing, but the buttons aren’t nearly as elegant. The multi-colored LED light ring remains, however, and it serves the same functions: indicating the volume level and lighting up to let you know the speaker heard the wake word (“Alexa,” “Amazon,” “Echo,” or the popular-with-Star-Trek-fans “Computer”). As a speaker, the new Echo is no better than the original, but it’s not appreciably worse, either—this despite being outfitted with a much smaller upward-firing tweeter (0.6 inches versus 2 inches in the original) and lacking the bass reflex port found on the original. The downward-firing woofer is the same 2.5 inches in diameter. Both of these drivers fire into a dome-shaped diffuser to deliver 360-degree sound. Dolby also contributed some of its audio-processing prowess to Amazon’s effort. 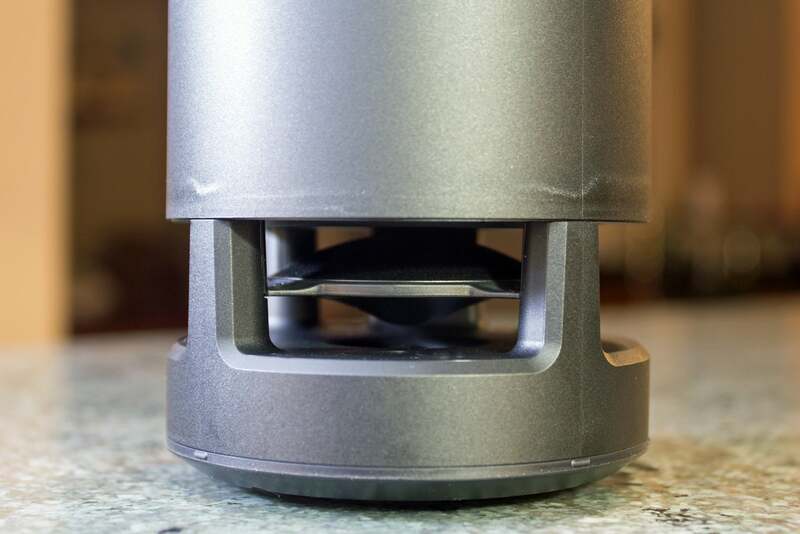 A two-sided, dome-shaped diffuser creates 360-degree sound from the down-firing woofer and up-firing tweeter. The new Echo puts out about the same volume of sound, which is to say it can fill a small bedroom and it can be used as a near-field speaker. It will distort badly if you push it to the edge. The new Echo delivered a fairly anemic rendering of Donald Fagen’s “I.G.Y.,” from the Steely Dan frontman’s solo release The Nightfly. Bass response, or the lack thereof, was the first thing I picked up. I’m not a bass-head, but I do like to hear a solid foundation, and Anthony Jackson’s lilting lines on his six- (not four-) string bass—starting in the ninth bar of “I.G.Y.”—are particularly memorable. But they don’t sound special at all coming out of the new Echo. If I hadn’t been listening to Fabriq’s new Chorus Wi-Fi speaker for a week before I unpacked the new Echo, I might have dismissed this with a “well, what do you expect for $100.” It’s a much better value than the new Echo. The Chorus also features Alexa, of course, but it has a battery-powered option for the same price: $99. The Chorus is much more directional than the new Echo, and it lacks the new Echo’s auxiliary analog audio output. The Sonos One, of course, remains the best speaker in Alexa’s universe. But it costs twice as much as either of these speakers. If you tire of the Echo’s looks, you can swap its outer sleeve (charcoal fabric and oak woodgrain finishes are shown here). 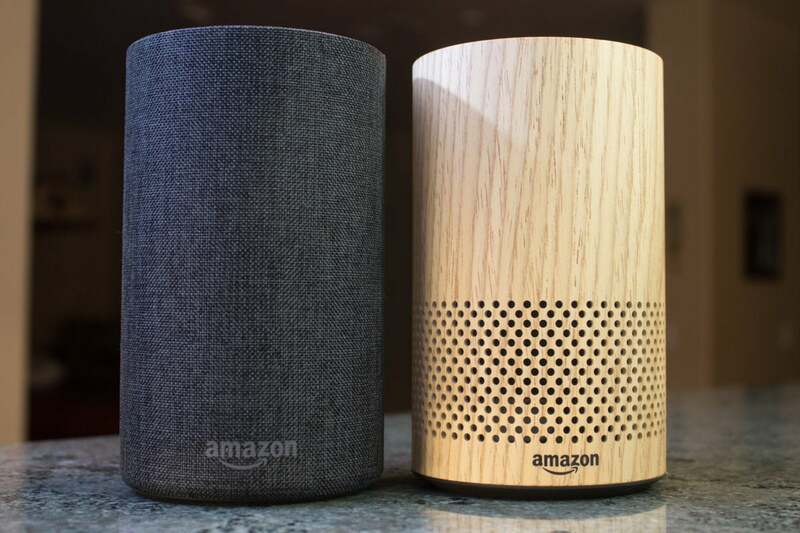 In addition to Bluetooth, the 2nd-generation Amazon Echo has an auxiliary analog audio output, so you can use powered speakers you like with it. The new Echo’s seven-mic array is excellent and always proved capable of hearing the Alexa wake word even when the speaker was playing music loudly. The music would dim almost immediately, so that the speaker could hear my query (“What’s the weather?” or “What time is it?”) or instruction (“Turn on the kitchen lights”). The second-generation Echo offers significant improvements over the first, but if you’re looking for an Echo to control your smart home, the Echo Dot is Amazon’s most cost-effective offering. If music is your thing, the Fabriq Chorus delivers a better performance than either of those Echos—and for the same amount of dough. 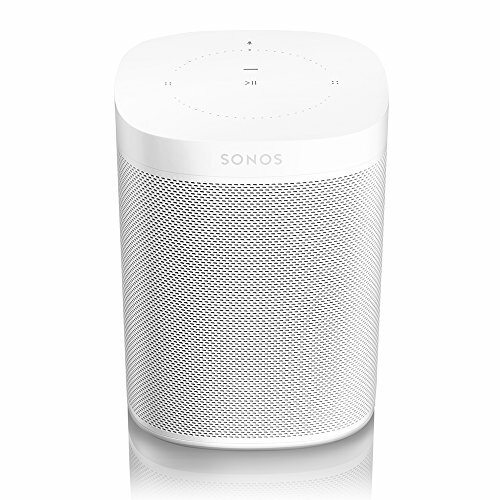 And for voice-controlled multi-room audio, the Sonos One is the best game in town. This story was updated with a link to our review of the Fabriq Chorus smart speaker.